The taproom, which had its grand opening this month, features eight home brews and two guest taps. A golf course that sells beer to its patrons is nothing new. But a golf course with its own brewery and British pub-style taproom? Now, that’s practically revolutionary. That’s exactly what Halfmoon Golf Club, located about half an hour south of Saratoga, can now boast with the opening of its Hank Hudson Brewing Company and brand-new taproom at the Fairways of Halfmoon Golf Club. 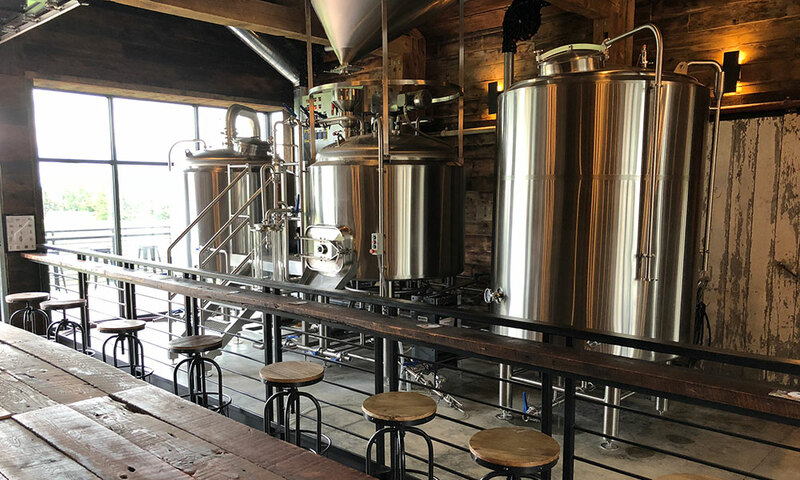 The newly constructed, combination taproom and brewery invites visitors to enjoy a wide selection of local and in-house beers while they sit just feet away from the brewery’s own stainless-steel fermenters. The setup allows patrons to get a firsthand glimpse of the beer-making process, while also looking out at the beautiful views of Halfmoon Golf Club through floor-to-ceiling windows. The room was designed by the Saratoga-based Balzer & Tuck Architecture, which specializes in constructing adaptive, repurposed and mixed-used spaces. 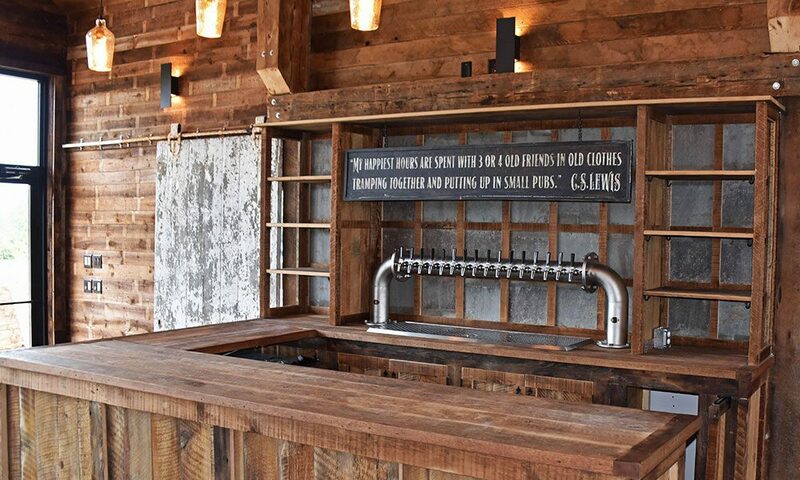 To that end, the Hank Hudson Brewing Company’s taproom was built out of two reclaimed barns previously located just a few miles from the golf course. 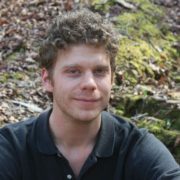 “Fairways owner, Bruce Tanski, was pivotal in making Hank Hudson Brewing Company a reality,” says Darren Van Heusen, Co-Founder and one of the company’s Head Brewers. 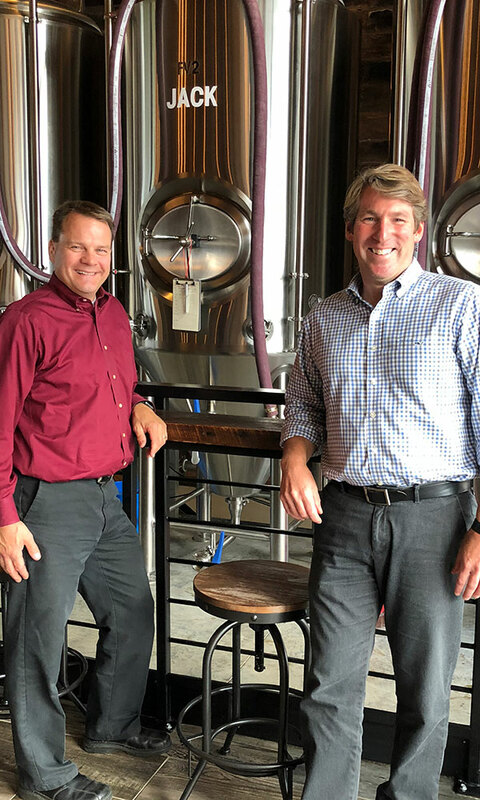 “He not only provided the original space in the basement of the Fairways to begin our beer making journey years ago, [but also] he’s now built us this incredible space, which we hope will be a great asset to the golf course [and] the local community.” Van Heusen and Chris Crounse, the other Founder and Head Brewer, have come a long way since they first started brewing beer for the Fairways back in 2013. After completing a craft beer brewing course at SUNY Schenectady, the two local high school teachers were offered an opportunity to expand their production at the Fairways, and officially opened the Hank Hudson Brewing Company in 2016. To celebrate the grand opening of the company’s first-ever taproom, Van Heusen and Crounse hosted a special “Hanktoberfest” on Sunday, October 14, which included catered food provided by the Fairways’ Club House, live music and an opportunity to meet and learn a little history from Henry “Hank” Hudson, himself (ok, it’s an actor; the real Henry Hudson was an English navigator who explored the Hudson Valley more than four centuries ago). “Having traveled to England numerous times, it was important to us to incorporate the vibe experienced at pubs,” says Crounse. “The response to the new taproom so far has been incredible. The comments have been overwhelmingly positive about the rustic beams and large windows new customers [see when they] step into our space.” The taproom grand opening also served as the debut of the company’s signature Hanktoberfest beer with a portion of the draft’s proceeds going to CAPTAIN Community Human Services, a grassroots human services agency based in Clifton Park. The brewery currently offers ten total taps, which include eight home brews and two guest brews that regularly rotate selections from other local breweries. (The brewers tell saratoga living that they’re looking to up that tap total to 14 house and two guest brews.) There’s also a diverse menu provided by the Fairways’ Club House. Now, you don’t even need to be a competent golfer to head over to Halfmoon Golf Club to have a great time!